This book supports young readers talking about thankfulness in Te Reo. The photographs encourage discussion of our sight, hearing, touch, taste and smell. 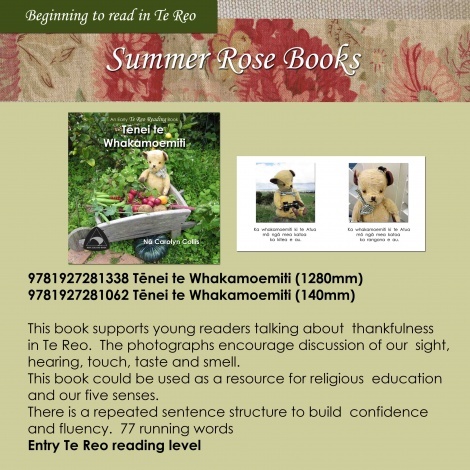 This book could be used as a resource for religious education and our five senses.